As an attorney, you will often receive funds from a client before you even perform any services for a client. Many attorneys require payment of a retainer or an advance for future services. What’s the difference between the two? What legal ethics issues do retainers and advances create? 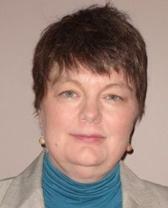 Professor Barbara Glesner Fines of the University of Missouri – Kansas City will explains the issues in this Lawdible. Professor Glesner Fines’ faculty biography can be found here. We don’t have a specific CALI Lesson to pair with this Lawdible. But Professor Glesner Fines is a prolific CALI Lesson author and has written many Professional Responsibility CALI Lessons listed here.